Nags Head Fishing Pier | Capt Tony's "Walkingangler.com"
Fishing: The pier is over 750 feet long and like the Avalon Pier it boasts outstanding fishing throughout the season. You will find a very friendly staff that will guide you to the best techniques and bait for the particular species. Amenities: The pier house has a tackle shop were you can buy bait, rent equipment or find that special t-shirt. There is also a full service restaurant on the pier. Parking is adequate but limited at times so come early. Directions: From the By-pass, follow it to Nags Head. 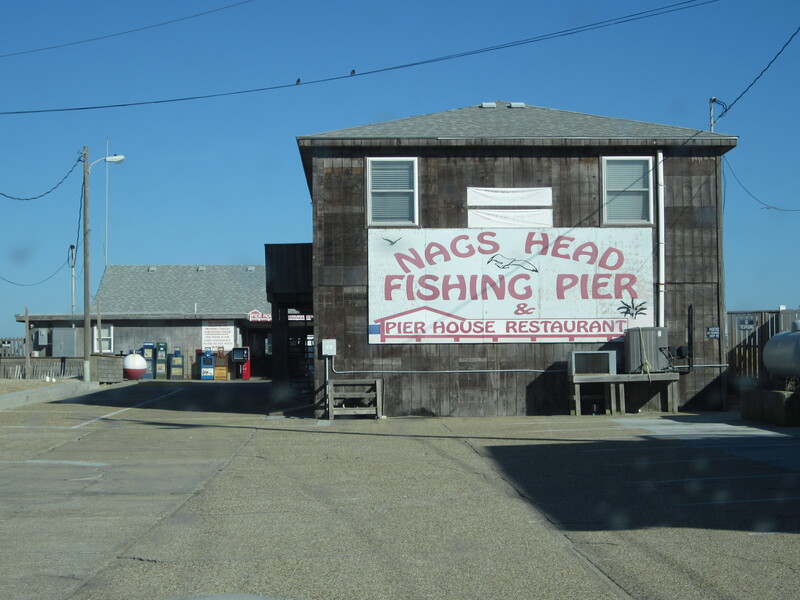 The Nags Head Pier is on the Beach Road between E. Hollowell Street and E. Bainbridge Street.